We all want to be successful whether at work or school or relationships, so we work really hard to make that the best it can possibly be. But why does seem that when one part of our life is really thriving, the rest seem to suffer? Simple. It’s a lack of Balance. Makes sense right? Why is it so much easier said than done? The social media heavy world we live in now, is a highlight reel of people who look like they have it all together, but here’s the truth.. they don’t. There’s this concept in psychology called the “Hedonic Treadmill” & it’s the idea that we are always working so hard to change our life situation but we actually never feel any different. Does that sound like you? Working so hard at your job, or school, and other areas of your life become neglected.. So at the end of the day, nothing really seems to change. It’s very easy to go to an extreme, put 100% of yourself into one aspect of your life while everything else takes the back burner. While sometimes that works for certain people – It’s not something the majority of us do on purpose, it’s justhard. No matter the area, if you aren’t choosing your priorities and giving them ALL effort.. something somewhere will suffer. What are you missing from your life that you wish you had more of? Put all the things you want in your life into separate categories. Let’s use a stack of cups as a visual. Each aspect of what you want in life has its own cup: Family, Health, Work, Relationships, Happiness, Your State of Mind, etc.. If you pour too much juice into to one cup, the others will be left empty. Pour all your juice into one cup and there’s a good chance that you’ve now got hypothetical juice all over your floor. Make a list of what’s most important to you and your life. Your list will look very different to the person next to you. Be confident with these choices and know these areas are the ones in which you want to fulfill in your life. Look at your priority list, and be honest. Are there aspects of your life that you have made a priority but are actually neglecting? These could be areas that you want or even need to make more time for..
Circle the priorities you might need to find time to pay a little more attention to. How do you see yourself balancing your priorities? Do you need to pour a little more juice into a cup that’s not as full? Is your 3 hours of TV after work more important than the workout you really want to get done? Is spending the extra hours at work really worth sacrificing the family time you want to be apart of? Did you try to start working out but the accountability wasn’t there? Maybe it’s time to look into a trainer. Do you try to step away from work but the drive to keep working won’t go away? Maybe you need to set yourself a specific time that you turn off from work and dedicate the hours after to family. Any goal takes time and effort to overcome habitual routines and create new ones. 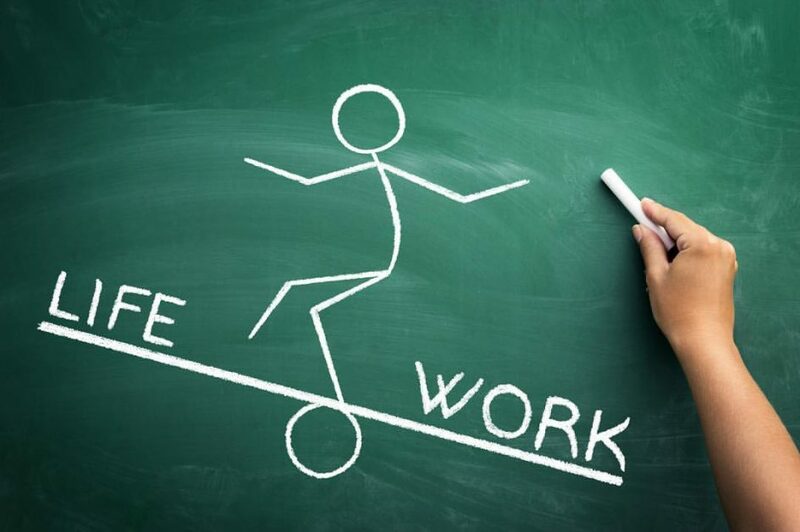 If you can stay on track , there’s a good chance you will that much closer to a more balanced life moving forward. This can be the hard part, a lot of us know what we want and some of us have an idea of how to make it work, but implementing it can be almost impossible. But this step is where we step outside our comfort zone & go after the balance we crave in our lives. So let’s get of the “Hendonic Treadmill”, and start making real changes in our lives! You have the power, you have the control, it starts with where you decide to put in the effort to create the balance you are wanting.